If you've ever been on a pub crawl, you realize after a while you're unlikely to actually remember which pubs you (literally) crawled to. Lovells Lager can help with that. Working with Tequila, Lovells Lager has launched the Hangover Free Pub Crawl. 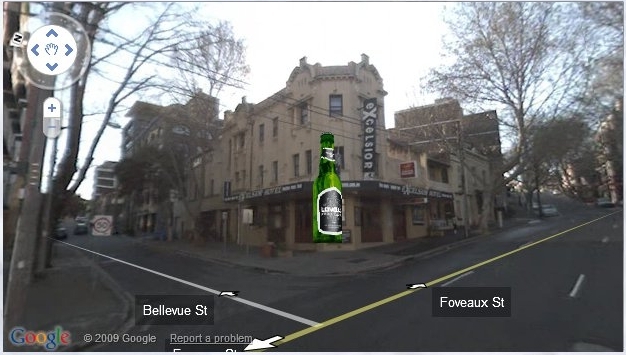 Mashing together Google Street maps, geo-targeting and informatively witty commentary, the Hangover Free Pub Crawl lets you - soberly and from the comfort of the internet - check out the finest pubs in Sydney. A pub crawl isn't just about getting drunk. It's learning interesting facts about where you get drunk. OK, so yea, it really is about getting drunk but after taking the Hangover Free Pub Crawl, at least some of you will be able to drop a bit of trivia the next time you're in Sydney. Alas...Darlinghurst is left out. Again, no love for the gays.